Are you interested in Fraternity & Sorority Life at the University of Nebraska Kearney? 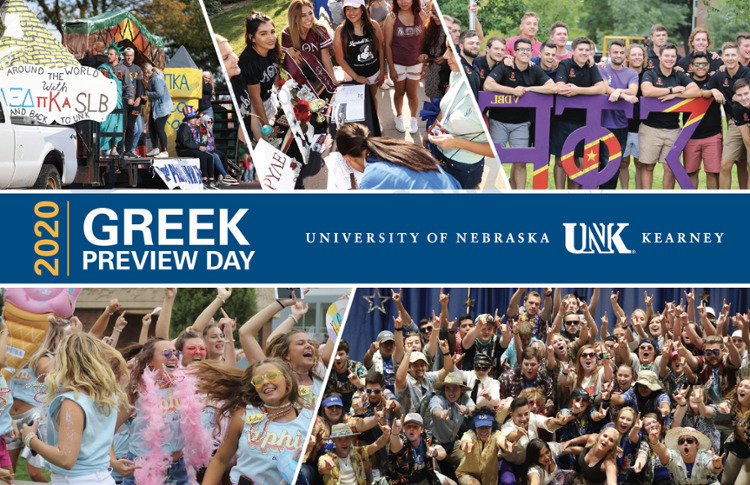 UNK's Greek Preview Day is an all-day program which provides an opportunity for prospective students (High School Juniors/Seniors) to create a connection to the Greek community prior to attending UNK. This orientation is designed to provide valuable experiences to potential members as they embark upon their educational journey as an undergraduate student. Simply complete the online registration and you're all set. Registration for Greek Preview Day will be $10 per person. This cost includes lunch. Interested high school juniors and seniors and their family members can attend the event. There will be sessions specific to either parents or students. Shelby Shafer, Assistant Director for Fraternity & Sorority Life, shafersa2@unk.edu or 308-865-8523. View a map of where to park and check in for the event!